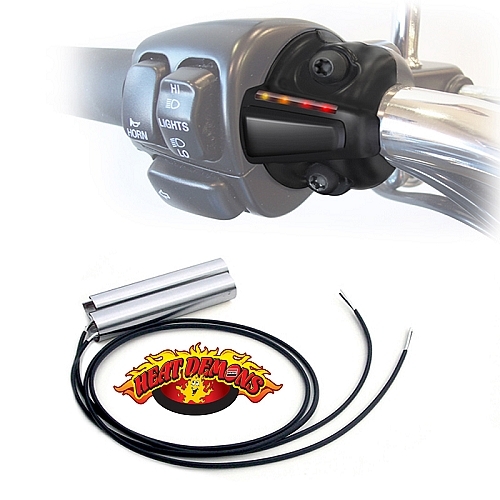 Heaters that install inside the handlebar allowing for use with any Grip. Custom Controller with 4 Levels of Heat. Thermister feedback keeps the Grip Heat at the selected level regardless of the Voltage Variation or Ambient Conditions. Very Affordable. Makes sense to install and all Bikes. 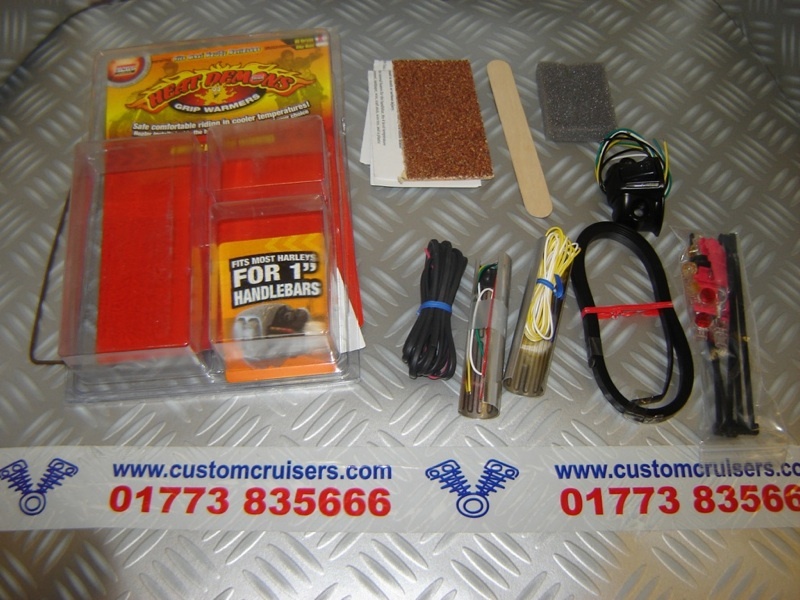 Increases riding safety and comfort. Metric Models also available for most other Bikes. ** For '08 and newer Electronic Throttle 1 1/4 or Chubby bars the ID of the HandleBars needs to be increased to .875, standard ID of 1 1/2" bars is .835- HeatDemons will not fit in comparison with Electronic Throttle. Those bars will need to be reemed out to .875" at machine shop. 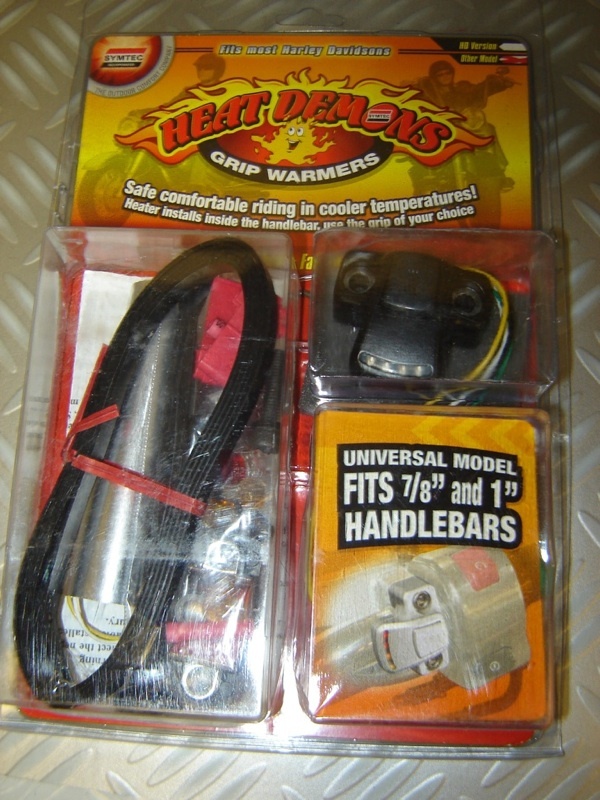 WILL THESE HEAT DEMON GRIP HEATERS FIT MY BIKE?????? ?